Looking for some amazing handmade gift ideas for the holidays? Check out the selection from Amazon Handmade! The holidays are almost here! Though I have shared a number of holiday gift guides, the fact remains that there’s always someone on your list who is SUPER hard to shop for. If you think for just a moment, I’m sure you can come up with at least one person on your list who has everything or is just someone who is really difficult to “wow”. In situations like this, my go-to solution is to think outside the box. I like to try to find something unique, personal or just really special. Something you can’t get just anywhere. While I love wandering little shops and boutiques, this time of year they are always SUPER crowded, and unfortunately often picked over. I found out recently that Amazon Handmade is a great option for this predicament. You can shop right from home, while still supporting small businesses (which is something that is really important to us). I wanted to share with you some gifts I got that are handmade. Of course, I can’t tell you who they are for (because they might be reading this! *waves*) but these are actual gifts I selected for actual friends and family and I’m SO excited to share them with you! 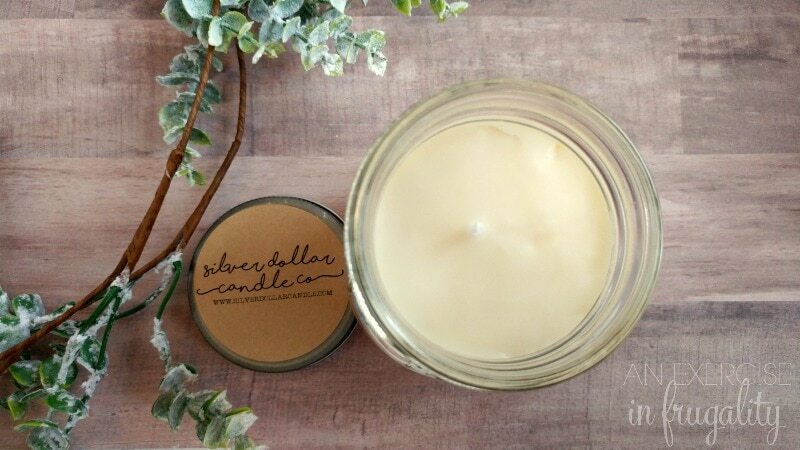 This soy candle is from Silver Dollar Candle Co, and is the perfect addition to any man cave! They are handmade, poured and labeled in small batches. 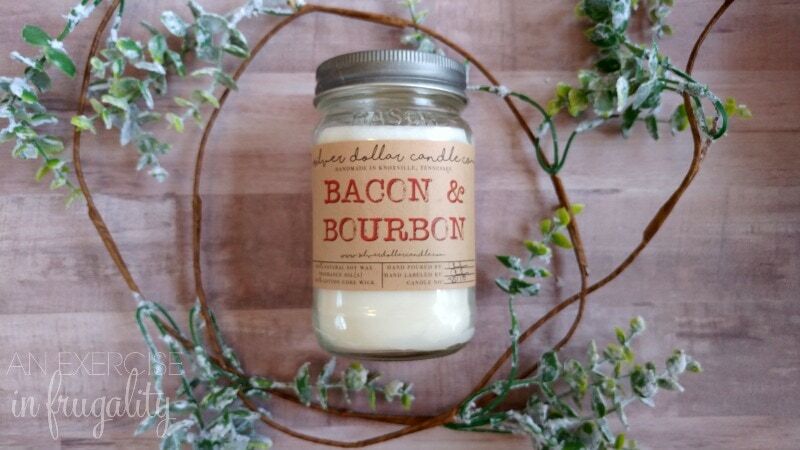 This one smells like Bacon and Bourbon and honestly, what isn’t to love about that? The smell is so incredible, and not at all overpowering. Think of a fine vanilla buttercream that’s laced with a rich bourbon and infused with a smoky maple scent. Absolutely captivating and not at all the heavy, smell I was anticipating. Better than any perfume-y store-bought candle I have ever smelled! The moment I saw this engraved cutting board, I knew I had to get it. 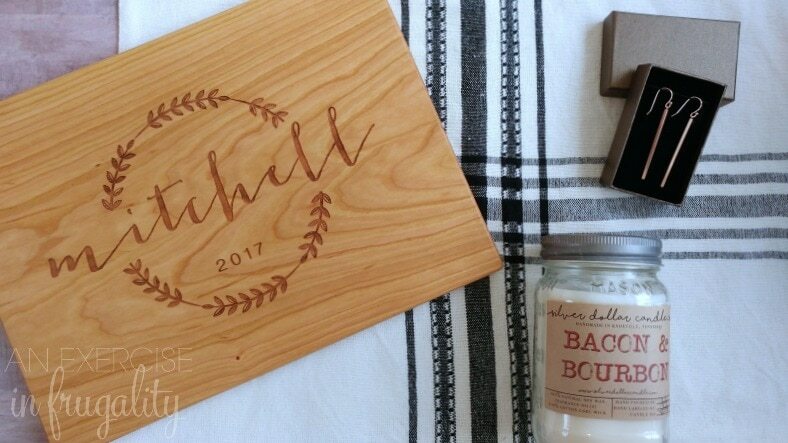 I knew EXACTLY who would love this beautiful, personalized wood board. It would be great as decor on a stand, or as a charcuterie board as well for entertaining guests. 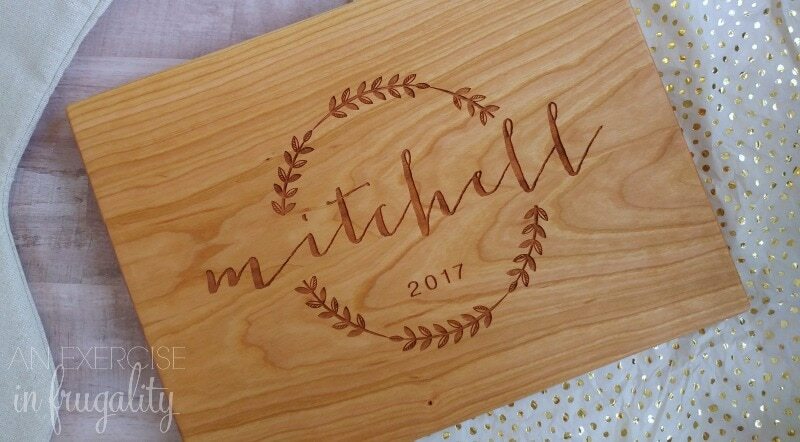 They are offered in a variety of wood types for any style decor, and after the holidays would make a fabulous wedding or engagement gift. 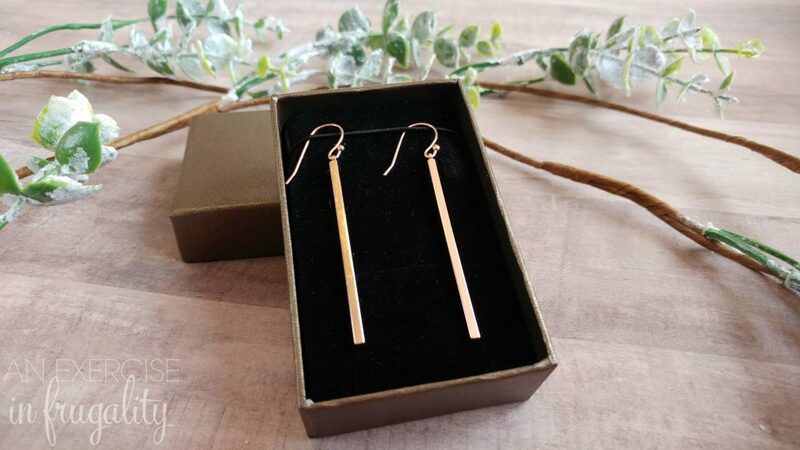 Everyone knows how popular rose gold is this year, so it should come as no surprise that I fell in love with these simple rose gold bar earrings. They are simple enough for everyday wear, but also elegant enough for dressier occasions. 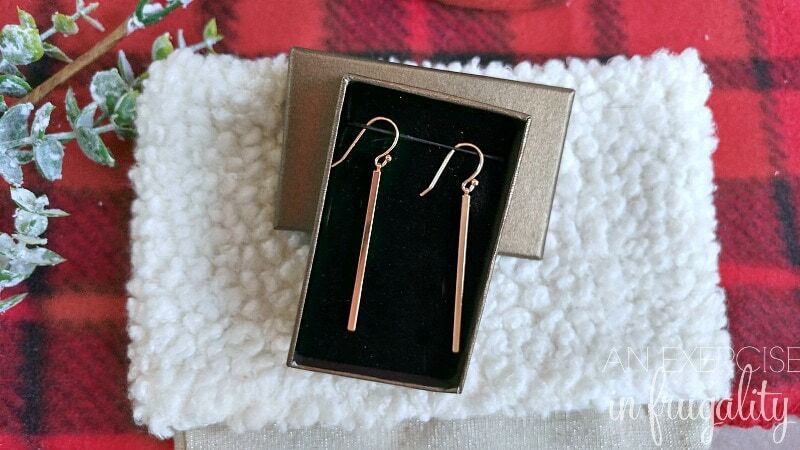 They are perfect for anyone who loves rose gold! Crafters and creators make their wares, then list them on Amazon Handmade where people can see them and buy them with the same customer-focused expectations and level of service they get from Amazon.com. You can even get Prime 2-day shipping on select items! Where else can you find that?? I had a hard time choosing these gifts, not because I didn’t know what to get, but because there were SO MANY amazing choices. So many talented artisans and a wide variety of gifts for any occasion. This is a great solution if you’re not crafty, or simply don’t have the tools or time to create something handmade. It’s a fabulous way to give a personalized gift while still having the convenience of your favorite place to shop online. There’s so many reasons why I love giving handmade gifts. It’s much more personal than just buying ANOTHER mass-produced item, and you get the bonus of supporting a family or individually owned business during the holidays! 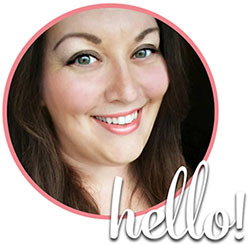 The variety on Amazon Handmade is astounding, so many talented craftspeople and so many choices. There’s truly something for everyone on your list. And if you really want to kick it up a notch, look at all the personalized gift ideas too! These aren’t the cheesy personalized gifts your grandma used to give everyone either. They are totally “in” and many are heirloom quality that will be treasured for years to come. Bottom line is, this is a great way to give a thoughtful, handmade gift for anyone on your list without busting your budget, AND without dragging out all your craft supplies or burning yourself with a glue gun. You’ve got enough to do this holiday season! If you are planning on doing personalized gifts, I recommend ordering them VERY soon. While the engraved cutting board I got came WAY earlier than promised (which was totally an amazing surprise!) they need to have time to make these gorgeous gifts, so be sure to get shopping ASAP if it’s something that’s customizable. Thankfully there are other gifts that are pre-made and in stock so you can order last minute too! It really is a win all the way around. 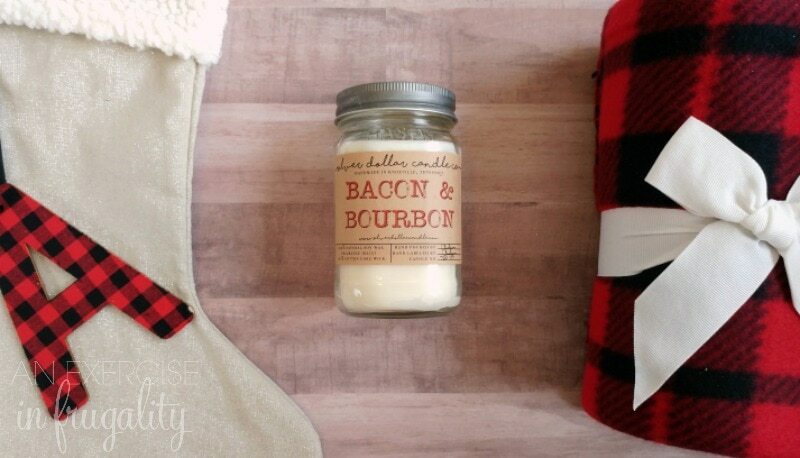 What’s your favorite handmade gift idea? This sounds like the ultimate craft show. I can’t wait for my daughter’s birthday because now I can order tons of homemade stuff for her from Amazon and get it in just 2 days!